I went to Rat Academy. Yes that's a thing. Bushwick rats are getting casual. Rats are my nemesis - a sentiment shared by many Bushwickians I’m sure. It’s a bitter irony that I was born in the year of the rat (thanks, Mum) and now I live with them. Going out after dark in the 'Schwick has become a game of ‘dodge-a-rat’ (that’s patented so don’t even think about stealing it). You can’t walk a block it seems, without having the living crap scared out of you by a rat or two scurrying about. Last night, from my window, I watched a garbage truck approach. The men jumped off the truck, brandished two shovels from and began whacking the bags (whack-a-rat!) until the rats fled and they were able to pick up the garbage. Surely things are getting out of hand? Well, yes they are. The huge amounts of construction going on constantly in Bushwick and the meat and produce packaging plants are creating a rat theme park, a disneyland for rats if you will, except one in which they eat Mickey for breakfast. If you are concerned about rats then you can visit the aptly named RIP - Rat Information Portal. Word of warning though, once you look at it, you can’t un-see it. In this aerial map, the buildings shaded in red are the buildings with “rat activity”. 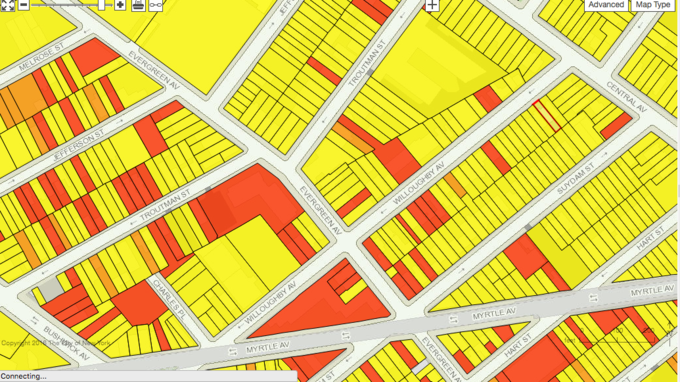 If you live between Central and Bushwick Avenues, good luck to you. 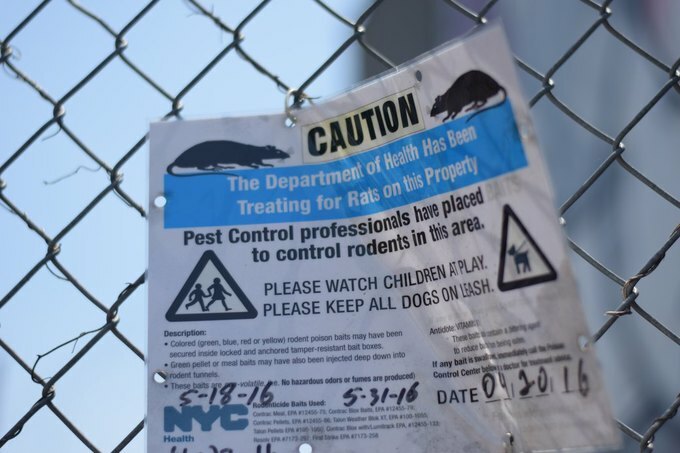 Bushwick has the second highest number of recorded rat sightings after the Upper West Side. However, the data might be somewhat misleading as these findings are based on how many sightings are actually called in. I can imagine the Upper West Siders doing this a lot more than us Bushwickians or at least having their nannies do it for them. So what can be done? Well, as your intrepid Rat Correspondent (business cards are being made up presently), I enrolled in Rat Academy. 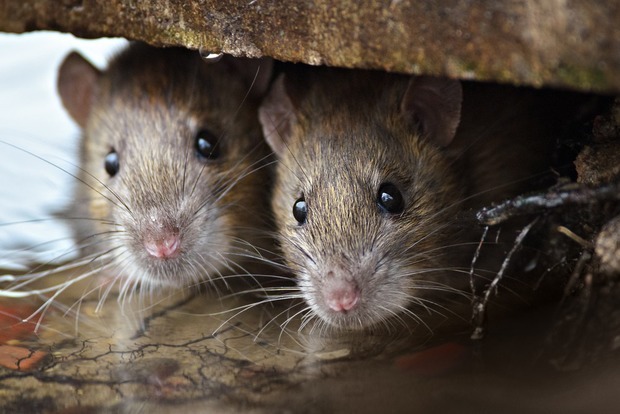 Rat Academy is a city-run program created to educate people in managing rat problems. 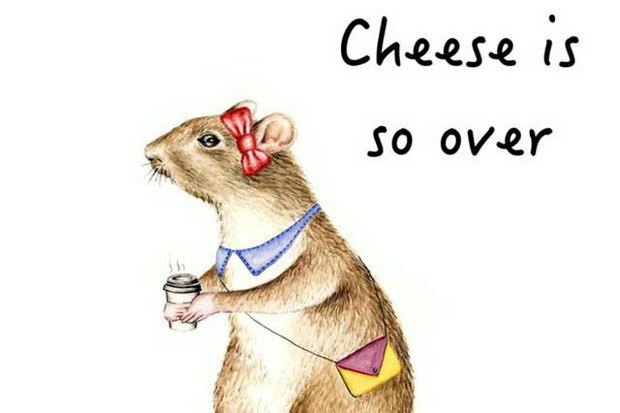 I was imaging little rats in tiny caps and gowns teaching classes, but sadly it was a much more mundane affair than that. In this half-day course I learned about the behaviors and biology of rats and ways to manage an infestation. Instead of being presented with a certificate at the end of the course, you are given a rat-proof garbage can. I’m still unsure of how to frame that above my desk. I also picked up a few tips we could all use. All garbage must be contained in a bin with a tightly fitted lid. Get rid of food, get rid of rats. Wash down sidewalks and areas where you see signs of rats. Rats communicate by leaving trails of urine and droppings (classy) that tell other rats that they found food in that location. Plug up any gaps in the walls, even if you are not on the ground floor. Rats can climb and can fit through a hole the size of a quarter. They are like contortionists and are probably rehearsing their House Of Yes show as we speak. Poison is effective as rats can’t vomit - so once they ingest it, they’re done for. This does however make them excellent drinking buddies. Rat poison is very toxic to humans too so be very careful when handling. I was told by a wise old man in the Home Depot (as I was perusing the pest control aisle) that rats hate peppermint. He suggested spraying peppermint oil everywhere. I haven’t tried this yet and to be honest, I’m not sure he was even an employee there. If these measures don’t work, it’s time to pressure on the city. You can call 311 or email them via the Rat Portal. A group effort may be what’s required here to get some attention paid to our neighborhood rat problem. Maybe a peppermint oil drone strike over the whole area could be a solution. “If you see something, spray something?” I’m still workshopping the ad slogan. In the meantime, I will continue my dance with Ratty (his real name is Steve, but he hates it) and continue to submit my complaints. Good luck out there and if you see Steve tell him to f**k off.